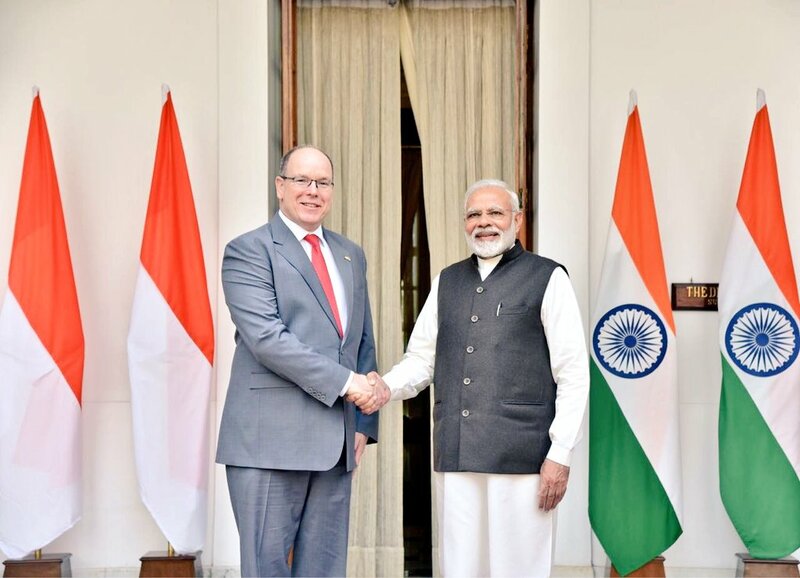 New Delhi: The head of state of Monaco, Prince Albert II, on Tuesday met Prime Minister Narendra Modi and held talks on enhancing bilateral cooperation in key areas such as environment, climate change and renewable energy. Taking to his Twitter handle, Ministry of External Affairs spokesperson Raveesh Kumar, said that the two leaders had a "good exchange" of bolstering cooperation between the two countries. "Harnessing mutual strength. 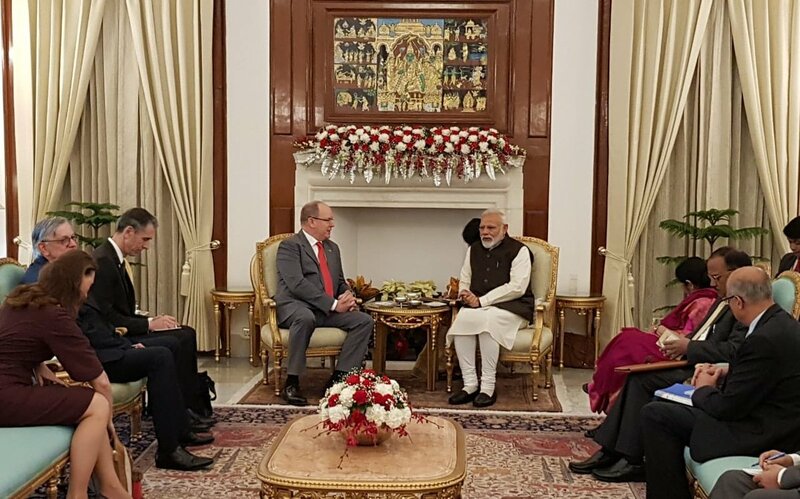 PM @narendramodi met HSH Prince Albert II of #Monaco. Good exchange of views on enhancing cooperation, especially in environment climate change and renewable energy through sharing best practices," Kumar tweeted. The two leaders also met at the Hyderabad House for an official photo session before going for bilateral talks. Earlier in the day, Prince Albert II, who arrived in India on a two-day official visit, laid a wreath at the statue of Mahatma Gandhi at Rajghat. The Monaco Prince met External Affairs Minister Sushma Swaraj and discussed on opportunities for cooperation in renewable energy, investment into India, smart cities among other key areas. "Affirming trust and friendship. EAM @SushmaSwaraj called on HSH Prince Albert II of #Monaco. Discussed opportunities for cooperation in areas of environment, specially renewable energy, investment into India, smart cities, marine ecosystems, tourism people-to-people contacts," Kumar tweeted. Prince Albert II is slated to meet President Ram Nath Kovind during the visit.